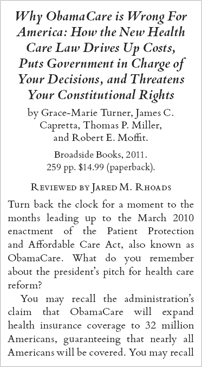 I highly recommend a new book Why ObamaCare is Wrong for America by Grace-Marie Turner, James C. Capretta, Thomas P. Miller and Bob Moffitt…Despite what ObamaCare will do, they say each challenge facing the American healthcare system can be solved. 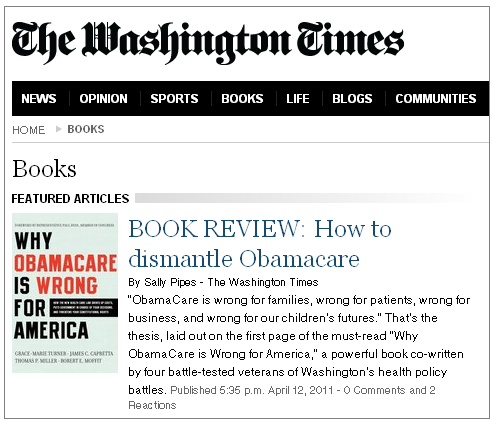 Have you read Why ObamaCare Is Wrong for America? Please share your review in the comments below, or post them to the Amazon.com book page.